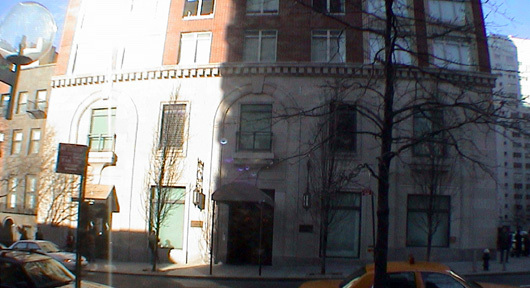 This handsome, red-brick, condominium apartment building at 181 East 65th Street is on the former site of the Sign of the Dove Restaurant that for several decades was one of the most elegant and expensive on the Upper East Side. 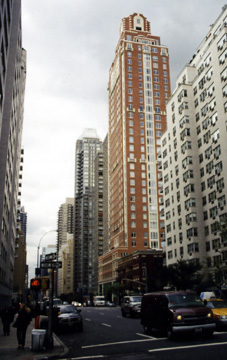 The 34-story tower, which was completed in 2000, was designed by Robert A. M. Stern, a leading Post-Modem architect who is dean of the Yale School of Architecture and the author of several very major volumes on the history of New York's architecture over the last century or so. Ismael Leyva Architects was also involved in the building's design. The tower sports one of the most attractive rooftop watertank enclosures to be created in many decades with an extremely nice quoin treatment and nicely concave corners. The main shaft of the tower, which is atop an 85-foot-high base, has very attractive and tall bay windows and the building's proportions are excellent. It is across the avenue from the mid-rise Manhattan House, the full-block, white-brick apartment house designed by Skidmore, Owings & Merrill whose popularity resulted in the burgeoning flowering of white-brick towers all over the Upper East Side. In their great book, "New York 2000, Architecture and Urbanism Between The Bicentennial And The Millennium" (The Monacelli Press, 2006), Robert A. M. Stern, David Fishman and Jacob Tilove noted that the Chatham "replaced a row of four-story apartment houses, 1110-1118 Third Avenue (John Snook, 1868) and 166 East Sixty-Sixth Street, also designed by Snook as part of two series of townhouses, 156-166 East Sixty-Sixth Street and 157-167 East 65th Street, which were renovated in 1919 by Edward Shepard Hewitt, who created a common garden between them that came to be known as the Jones Wood Gardens, named after Jones's Wood, an early-nineteenth-century summertime pleasure ground that had been located near the East River and was considered for a great public park before the site of Central Park was settled on." 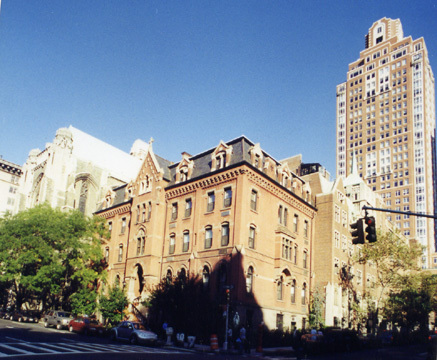 The authors, not always prone to enormous run-on sentences, also wrote that "the campanile-like Chatham enjoyed exceptional views in most directions and exceptional prominence in the neighborhood," adding that the two penthouse apartments "featured grand sweeping stairs and terraces" and that "the lobby and elevator cabs as well as the typical hallways were designed by Stern." 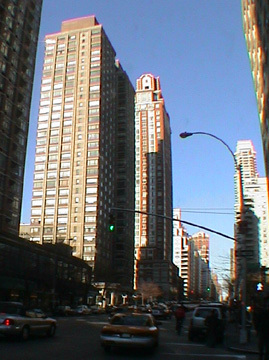 This section of Third Avenue has changed dramatically over the last two decades with several major apartment towers of considerable gleam and gloss. As a result, this neighborhood has considerable "light and air" because of the tower's plazas and the pre-war "tone" of this one makes it stand out quite well. The developer is The Related Companies L.P., which became one of the city's leading residential builders in the 1980's, and the sponsor of the project is Evod Acquisition, L.L.C. Many of the apartments have striking views to the west including Central Park. The 94-unit building has a restaurant with butler service and a residents-only Equinox spa and fitness center. Parking with valet service and separate storage space are also available for each apartment. A local subway station is at 68th Street and Lexington Avenue and the neighborhood has excellent shopping.